[W]ith a little more than an hour before Sacramento Republic FC kicked off its first ever playoff match, a few members of the Tower Bridge Battalion were huddled around a smartphone watching another game. On the other side of the country, the USL PRO regular-season champion, Orlando City SC, was trailing 1–0, minutes from an opening-round loss. The elimination of top-seeded Orlando City meant that Sacramento, the second seed, would host the final with just two more victories. “We’re gonna win the league!” someone shouted from the other side of the supporters group’s pre-game party, before being reminded that they still needed to get to that home final. The excitement may have been premature, but two weeks later, Sacramento did win the league at home, celebrating with the Battalion and the rest of an 8,000-person, sell-out crowd. That has been the story of Sacramento Republic FC’s brief, bright, lifespan; as much as you can try to keep the focus on one game at a time, there has been a sense of momentum and aspiration surrounding everything Republic FC has done. This is a club that didn’t exist two years ago and now, with MLS expected to make an announcement on its 24th franchise in December, could be a frontrunner for expansion, thanks in large part to that attitude. 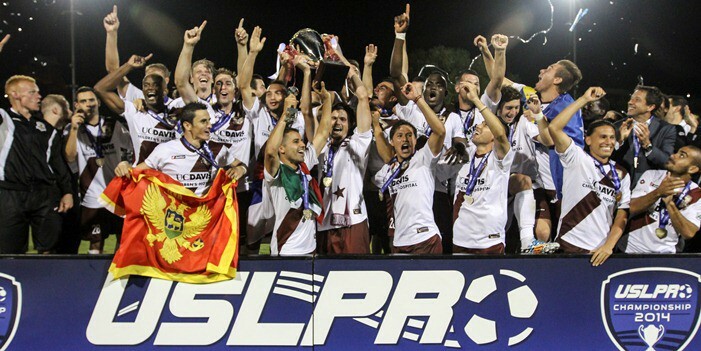 On December 3, 2012, the third-tier USL PRO announced that a Sacramento franchise would begin play in 2014. From the very beginning, the Sacramento group made its intentions clear: to prove that the city was a viable MLS market and earn an expansion bid — the sooner the better. Led by co-founder and club president Warren Smith, a local businessman who helped bring minor-league baseball to Sacramento, Republic FC recruited an experienced staff as its backbone. Predrag “Preki” Radosavljevic, the former Kansas City and U.S. national team player who had experience in charge of Chivas USA and Toronto FC after his playing days, signed on as head coach. By the end of the team’s inaugural season, he would be named the 2014 USL PRO Coach of the Year. In building its roster, Sacramento took advantage of MLS’ rules regarding development partnerships. The club inked affiliation deals with Portland Timbers FC and San Jose Earthquakes, using loanees as part of a strong inaugural squad. Construction delays meant Republic FC played its first home match at Sacramento City College’s Hughes Stadium. The team lost, 2–1, but the sellout crowd of 20,231 served notice. 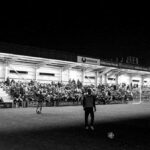 More than 17,000 came out for Republic FC’s next league match and two subsequent sellouts proved the opening night enthusiasm wasn’t a one-off. Republic FC eventually moved out of Hughes and into the more intimate Bonney Field, an 8,000-seat stadium built specifically for the team on the Cal Expo property. Cal Expo, home to a horse-racing track, a waterpark and the state fair, provides a unique backdrop. Waterslides tower behind one side of the stadium; behind the other stands are portable buildings which serve as locker rooms. The beating heart of Bonney Field’s game-day atmosphere is the Battalion. The independent group started with fewer than 300 members but by the playoffs membership had swelled to around 800. On a game day, the Battalion pack 400 to 500 of those members into a constantly raucous section behind the northern goal. Republic FC lost just one league match at Bonney Field and with five games to spare in the regular season Sacramento broke the USL PRO single-season attendance record, previously set by Orlando City in 2013. Republic FC closed the season unbeaten in 10 of its final 11 matches and in its first season of existence finished second in the USL PRO standings, behind only defending champions Orlando City. While the team surged, the front office’s bullish push for expansion consideration gained steam. Mayor Kevin Johnson, who had played a key role in keeping the NBA’s Sacramento Kings in town, has been a vocal supporter and lobbyist for the team’s MLS bid. In early September, Kevin Nagle, a local businessman and part-owner of the Kings, was announced as the lead investor in Sacramento’s bid for expansion. If the club does reach MLS, Nagle will become its primary owner. Cooper remembers the night he and a handful of other Battalion members first heard about Nagle’s involvement. They were at a bar in Arizona, celebrating a Republic FC win they had road-tripped to see, when Bjork called a little after midnight with the news. “We poured a round of tequila shots, we had a celebration and I think that was sort of the moment we realized that it could be something bigger much quicker,” Cooper says. In the following weeks, the momentum never slowed. After its stellar finish to the regular season Republic FC opened the playoffs with a 4–1 win over Wilmington Hammerheads FC. Days later, the club announced plans to buy land for a 20,000-seat soccer-specific stadium that would be the heart of a planned redevelopment project on the northern downtown railyards. The president of the company developing the railyards site will also come on board as an investor. The stadium announcement came on the eve of MLS officials arriving in town to hear the city’s pitch and assess the market’s viability for expansion. “We’ve been told that every year different teams set the bar when they visit and we certainly set it even higher,” Bjork says. That Saturday, September 30, with some of the MLS group still in town, Republic FC hosted LA Galaxy II in the playoff semifinals. After falling behind 2–0 in the first half, Republic FC pulled off a furious comeback thanks to a hat trick from captain Rodrigo Lopez in the final 22 minutes, two on penalty kicks and the winner on a dipping stoppage-time free kick. In the home final they had dreamed of, Sacramento squared off against Harrisburg City Islanders, the team that had eliminated top-seeded Orlando City and dealt Republic FC a loss in its home opener at Hughes Stadium. This time though, Republic FC was better. Octavio Guzman scored the winner in the 36th minute and Tommy Stewart tacked on a second in added time to set off the party. In addition to capping the club’s dream season, the final displayed promise for Sacramento in another key area: TV broadcasts. Sacramento had shown strong viewership during the World Cup (registering the seventh highest rating for ABC’s telecast of the Germany-Argentina final, according to an ESPN press release) and a local TV broadcast of the USL PRO final rated well, garnering a 1.6 average household rating and outdrawing some college football games on at the same time. 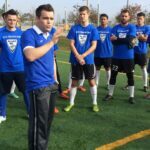 Making California a four-team state while other parts of the country remain underrepresented by MLS may draw criticism, but the region has largely proven its support. North of Sacramento, soccer hubs Portland, Seattle and Vancouver are shining examples of the success MLS had during its last round of expansion. Nearby, the Earthquakes are moving into a new stadium next season and would provide a built-in rivalry for Republic FC in addition to rivalries with the Galaxy and the second LA team scheduled to relaunch in 2017. Sacramento faces its own challenges to expansion, but the path the team is following — lower-league success with great fan support and committed local owners — is a proven method. Orlando City won two championships during its four years in USL Pro. It’s now headed to MLS as a 2015 expansion team. In its bid for the league’s 24th franchise, Sacramento is joined by competition from a nearby group in Elk Grove, Calif., Minnesota, San Antonio and Las Vegas. “The Midwest is a priority,” MLS Commissioner Don Garber told the Chicago Tribune last week in reference to Minnesota’s bid, considered a frontrunner with Sacramento. The club has around 6,000 season ticket holders, Bjork says, and is already taking deposits from others who want to reserve MLS tickets. Bonney Field will be expanded to hold 10,000 or more next season and the Battalion is expecting its membership to surpass 1,000. Since the end of the season, the club announced 12 new investors, including local UFC star Urijah Faber, committed to coming on board if Republic FC is granted expansion. And then in late October, a Sacramento group made up of Mayor Johnson, Smith and Republic FC investors travelled to New York for a follow-up meeting with MLS officials, including Commissioner Garber, who was not on the initial MLS trip to Sacramento. “I think the support was always there, I just think that it needed sort of a rallying point to sort of focus it,” Cooper says. A decision on the next expansion market is expected to come by the end of the year, Bjork says. For now though, with their claim made both in the boardrooms and on the field, Sacramento Republic FC and its fans will enjoy how far they’ve come. The offseason began with an official championship celebration the Friday after the final. Fans marched down the Capitol Mall to the steps of their State Capitol, celebrating the team that has so quickly come to embody their spirit. John Wilkinson is a freelance journalist who lives in Chicago. 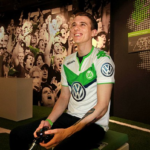 Follow him on Twitter at JWilks26. 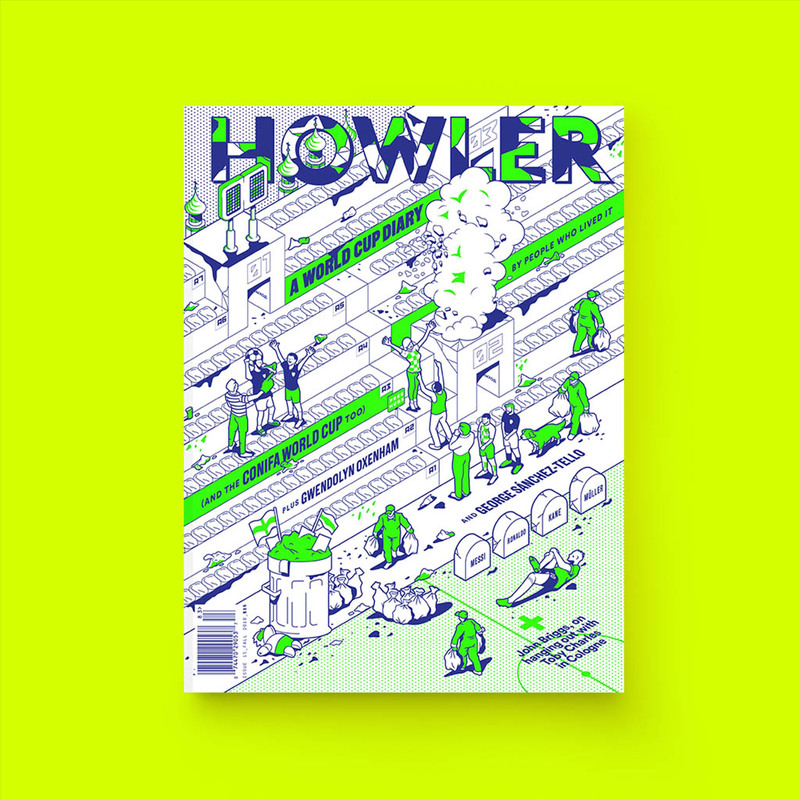 Re: Monday, Cliff’s Backpack, 8:10 p.m.
© 2019 Howler Magazine a division of Howler Worldwide Inc.